Home Our Providers Christy Crowther, M.S., C.R.N.P. Christy Crowther, M.S., C.R.N.P. has been working with Garth Smith, M.D. at Anne Arundel Orthopedic Surgeons (AAOS) specializing in hand, wrist and elbow injuries and conditions since 2006. She has been board certified by the American Nurses Credentialing Center as an adult nurse practitioner since 1987. She has over 35 years of extensive clinical background in critical care, trauma and orthopedics. Ms. Crowther was an assistant head nurse in the medical intensive care unit at Johns Hopkins Hospital, a critical care nurse and an infectious disease nurse practitioner at the R. Adams Cowley Trauma Center in Baltimore. Ms. Crowther is a contributing co-author to two collegiate Pathophysiology textbooks. She lectures nationally and internationally on critical care and orthopedic topics. In addition, Ms. Crowther has been a contributing author to four other collegiate textbooks. She is the author of Primary Care Orthopedics, and editor, reviewer or author for numerous professional nurse practitioner journals. 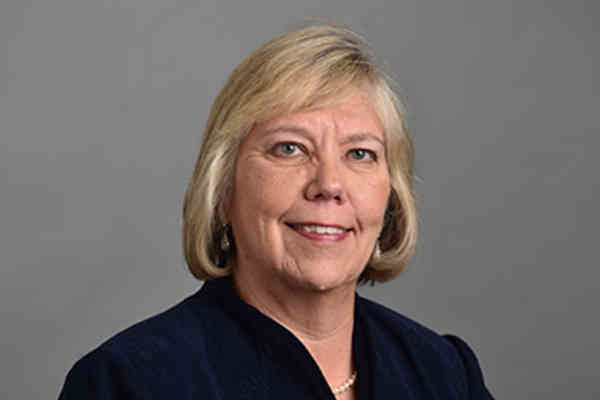 She served as secretary for the Nurse Practitioner Association of Maryland and has been adjunct faculty at the University of Maryland Schools of Nursing and Medicine, the Uniformed University of Health Sciences and the Johns Hopkins Graduate School of Nursing. She also serves as a clinical preceptor for nurse practitioner students from The Catholic University of America.